Newly engaged? Congratulations! You must be very excited to plan your wedding. However, figuring out where and how to start can be overwhelming and confusing. Adding to the stress of wedding planning is the pressure to make the event perfect while minimizing cost. After all, you can get married just once. There’s no Take 2! Good thing, you can prevent wedding preparation-related stress from building up and turning you into a bridezilla. Start off with a wedding checklist that contains all the things you need to accomplish months, weeks, and days leading up to your wedding day. Download the free printable wedding planning checklist here. 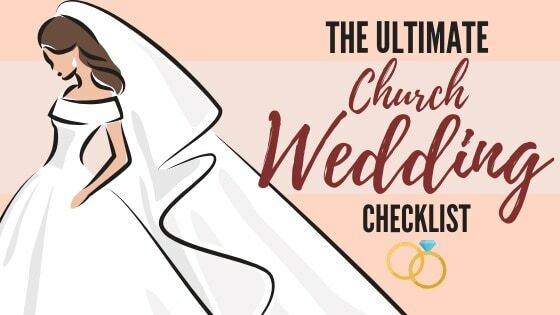 Keep reading to know the must-dos for a typical church wedding preparation in the Philippines. 1. Identify your wedding must-haves. 3. Choose possible wedding dates. 4. Research and visit possible venues. 5. Book church and reception venue. 8. Create and send Save the Date cards (optional). 1. Choose a wedding theme and motif. 2. Book photography and videography suppliers. 3. Book event stylist and florist. 4. Research wedding gown styles and designers. 5. Start planning the guest list. 6. Choose your wedding entourage. 2. Book lights and sounds supplier. 5. Book a wedding gown designer. 6. Choose dresses for the bridal entourage. 7. Do food tastings with possible caterers. 10. Book hotel rooms for wedding preps. 11. Start planning your honeymoon. 13. Renew or apply for a passport. 1. Book hairstylist and makeup artist. 2. Have trial hair and makeup session. 4. Buy wedding shoes and accessories. 6. Book bridal car/transportation service. 7. Order birth certificates and CENOMAR. 1. Apply for marriage license. 2. Buy/rent suits for groom and male entourage. 4. Choose and order wedding invitations. 5. Prepare music playlist for DJ/band. 6. Start any DIY project (optional). 7. Create a wedding hashtag (optional). 8. Create a wedding website (optional). 1. Get baptismal and confirmation certificates. 2. Organize the reception seating arrangement/table plan. 5. Finalize readers and readings. 7. Book photo booth supplier (optional). 1. Attend the canonical interview. 4. Have final gown fitting. 5. Finalize fittings for entourage and parents. 7. Buy gifts for partner, parents, and sponsors (optional). 1. Attend the pre-cana seminar. 2. Submit marriage license and list of principal sponsors. 4. Confirm event details with suppliers. 6. Review the RSVP list and follow up with guests. 7. Finalize and send song playlist to DJ/band. 10. Complete any DIY projects (optional). 1. Final follow up with guests. 3. Finalize seating arrangement/table plan. 4. Get a final haircut and salon treatments. 5. Pick up wedding dress. 6. Create a shot list. 1. Prepare final payments and cash tips for suppliers. 3. Create a wedding day timetable. 4. Give readers their scripts. 6. Do a full wedding dress rehearsal. 7. Pack for the honeymoon. 8. Go to confession at the church (optional). 1. Reconfirm final details with suppliers. 1. Reconfirm details with entourage members. 2. Turn over wedding day items to the coordinator. 3. Check in at the hotel. 4. Relax and get a good night’s sleep! 2. Give wedding rings to the best man. Sit down with your partner to discuss how you both visualize your ideal wedding. Together, list down your negotiables and non-negotiables when it comes to planning your big day. Do you want a specific church for your ceremony? Or hold the reception during sunset? Is good food (and perhaps an open bar) important to you? Whatever your priorities are, make sure you’re on the same page. Before you work out your budget, decide who will pay for the wedding. You may prefer to do it on your own as a couple. One or both of your families may want to contribute or fully pay for all expenses. Based on what you’ve discussed in the previous step, set a budget range that you’re comfortable spending for your wedding. Create a table that breaks down your estimated costs. Better do it on a spreadsheet like Excel or Google Docs, so you can track and adjust your budget as you go along. Have several dates as options because the final wedding date may change depending on the availability of your preferred venue and important guests. Your budget also affects your choice of wedding date. For example, having it on a weekday instead of a weekend will reduce the number of guests who will attend. Consider also off-peak wedding months to further cut down costs. Search for a church for your ceremony and then look for reception venues near the church. Ideally, the venue for your reception is near the church, so you and your guests won’t have to travel far after the ceremony. Before you start finding suppliers, make a reservation with a church first. Everything else will follow. If you wish to get married in a popular church like the Manila Cathedral, you have to book it at least a year in advance. Once you’ve secured your church, book the hotel or restaurant you’ve chosen for your reception. Check out blogs and online forums to find possible suppliers for your wedding. Also, attend wedding fairs to canvas and compare rates of different suppliers. Ask for recommendations from your married friends, too. Start contacting the suppliers on your list and asking for quotations and availability on your wedding date. The planner or coordinator should be the first supplier you’ll hire before everyone else. You have two choices: full-service wedding planner and on-the-day (OTD) coordinator. A full planning service provides assistance during the entire wedding planning process, which is ideal for couples based abroad. If you’d like to be hands-on with your wedding preps, then an OTD coordinator is a more sensible choice. If you’re having an overseas or destination wedding, give your guests an early heads-up by sending out save-the-dates once you’ve booked your venue. Having a theme and color motif for your wedding makes it uniquely yours. You have lots of themes to choose from: classic, romantic, vintage, rustic, modern minimalist, Filipiniana, and more. You can even use a theme inspired by your favorite movie, TV show, or novel. As for the motif, you can find plenty of wedding color palettes online. Choose a color combination that you like and will look good on photos. Before you book photographers and videographers, be sure that their style—classic, traditional, vintage, artistic, dramatic, or photojournalistic/documentary—matches your preference. Cost is also an important deciding factor. 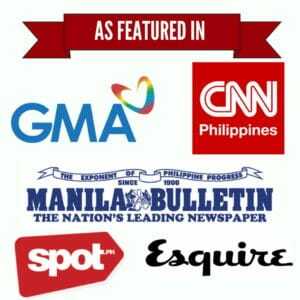 Services of professional wedding photographers and videographers in the Philippines aren’t cheap, so choose a supplier that can provide the quality you’re looking for within your budget. If your reception package doesn’t include decors for the venue, you’ll have to hire an event stylist. You also need a florist for the flower arrangements in your church and reception venue. Did you know? Flowers are usually the most expensive during hot wedding months, specifically December and January. Choose a style for your wedding dress before you start shopping for one. Give yourself enough time to find that perfect dress or have it created by a designer. Also, give some time allowance for fittings and alterations. Aside from your gown, research also your options for the groom’s suit and the entourage attire. Decide on the number of people you’ll invite based on your budget and how many guests your reception venue can accommodate. Once you’ve determined the ideal number of guests, create a spreadsheet for RSVPs. If you’re cutting down costs, consider inviting only your closest family and friends and just have separate post-wedding celebrations with other acquaintances. This step is trickier than planning the guest list because you’ll have to pick the most important people who’ll join your entourage. They could be the most influential in your life or those who have witnessed or helped start your love story. Further trim down your guest list. You might also consider accommodating your parents’ requests to invite distant relatives, family friends, and neighbors. If you’ll hold your reception in the evening, make sure that the professional lights and sounds supplier you’ll hire can provide ample lighting to your venue. Your call whether to hire a DJ or live band for entertaining your guests. Whatever you choose, be sure that your supplier can provide music that suits your taste and the reception’s ambiance. Wedding DJs and singers may also offer event hosting as an add-on service. But if you prefer to hire a separate host, then book the person several months ahead. Or you may ask a talented friend to host your reception. Making a wedding gown is a long and painstaking process that takes around five to eight months, from conceptualizing the design to its actual creation and alterations. So at this point, reserve your designer and schedule your gown fittings. Your supplier for the female entourage dresses may be the same or different from the one who’ll create your wedding gown. Regardless, decide on the color motif of their attire for a consistent look in your wedding photos. Be meticulous with your choice of catering service just as you are with your wedding gown. Guests may forget the gorgeous styling of your reception venue, but they’ll always remember enjoying delicious food in your event. Schedule food tastings with the caterers in your shortlist to pick the one that can provide excellent food quality and service within your budget. As soon as you’ve decided on a catering service to hire, book that supplier and work with the team to come up with a menu for your reception. Wedding cake designers, especially the in-demand ones, get fully booked easily. They also limit the number of orders they accept weekly or monthly. So order your wedding cake early. Before you do, have a cake design in mind. It doesn’t have to be grand. But because a cake serves as the reception venue’s centerpiece, consider ordering one with a height of at least three layers. If your home doesn’t have enough space or is far from the church, you should reserve hotel rooms for your wedding day preparations. To save time, book one of the hotels near the church and reception venue. You may choose to have a honeymoon right after your wedding or postpone it. If you have the time and money for a honeymoon, start planning your location and activities. To save money on your honeymoon expenses, book your flights and accommodations early. This is a must if you’ll have your honeymoon abroad. If your passport is about to expire, have it renewed at the DFA. Your passport’s validity should be at least six months on the day of your departure. Consider only professional hair and makeup artists (HMUA) for making you look your best on your special day. Check the portfolios of potential HMUAs on their website, Facebook page, and Instagram account. Don’t entrust your wedding look to your kikay friends, unless they’re professional HMUA themselves. Also, make sure to schedule a trial hair and makeup session when booking your HMUA. To save on costs, many brides have their trial hair and makeup session on the day of their engagement or prenup shoot. You may want to consider that, too. Your prenup shoot must be done a couple of months before your wedding day to give your photographers and videographers ample time to process your photos and videos. You’ll also use these materials for your invitations, wedding website, Facebook Events page, and displays during the reception. Shop for your shoes and undergarments early, so you can use them on your gown fittings. As early as your first fitting, bring your wedding shoes and undergarments to try them on with your gown. This way, the tailor can cut your gown to the right length and fit. Find a good transportation service that can bring you, your entourage, and your stuff to and from the venue safely and without delay. Your birth certificates and CENOMAR are required to get a marriage license. The church requires them, too. Get these papers either at the Philippine Statistics Authority (formerly NSO) office. For convenience, order these legal documents online (though this is more expensive than securing your papers in-person). The marriage license is a requirement for issuing your marriage certificate. It’s valid for 120 days, so apply for it within four months before your wedding day. Get it at the civil registry office of the city or municipality where you or your partner currently lives. You’ll also be required to attend a family planning seminar before claiming your marriage license. The seminar can take from one hour to a whole day, depending on the city/municipal hall. If your wedding gown package doesn’t include attire for the groom and his entourage, you’ll have to buy or rent the suits separately. Many couples just have their male entourage wear their own suits and provide them with neckties or bowties with the same color as the female entourage dresses. By now, your guest list should be what both of you agree on. Once you’ve finalized the list, you can start inviting people to your wedding and ask them to RSVP. Now that your wedding details are mostly complete, including the guests, you can start working on your invitations. You can DIY them or order from a supplier. List down your preferred song to be played during each part of the ceremony and reception that needs music, such as the processional and recessional, your first dance as a couple, mother-son dance, father-daughter dance, etc. If you’re into arts and crafts, save money by making your own decors and other wedding-related items (welcome signage, place cards, giveaways, etc.). Wedding hashtags are trendy because they allow soon-to-be-wed couples to personalize their event. If you’ll have one, make sure to use it in your invitations and wedding website. Instead of printing wedding invitations, you can build your wedding website using a free website builder. Include important details such as the date and time, location, directions to the venue, and accommodation options (for a destination wedding). You may upload a spreadsheet for your guests to RSVPs. Then send the link to your guests. The church will allow you to get married only if you have proof that you and your soon-to-be spouse have received the sacraments of baptism and confirmation. Divide your guests into groups (family, colleagues per company, high school friends, college friends, etc) and assign each one a table. Also, decide on the VIPs who will sit at the head table. Traditionally, they include the parents of the couple and other elder members of the family and the principal sponsors. Whether you’ll DIY or order your wedding giveaways online, give yourself at least three months to prepare them. You’ll wear these pieces of jewelry for a long time, so take your time shopping for wedding rings. It gives you enough time to find the style, metal, and gem type you want, as well as have your rings engraved and resized. Inform your chosen family and friends in advance about the readings you’re assigning to them for the ceremony. Work with your coordinator and caterer in choosing the food to be served at the reception, taking into consideration any dietary requirements of your guests. A photo booth keeps guests busy while waiting for the newlyweds to arrive for the reception. Consider getting one if you have the extra budget. Make sure all the things you need for your trip have been booked and prepared. Meet the officiating priest or his assistant on your scheduled canonical interview, typically a month or two before the wedding. The interview is done at the church where you’ll get married and takes around up to three hours. Distribute all the invites the earliest time possible. Ask your guests to RSVP. Many couples write their vows as late as the eve of the wedding. But it’s better to start drafting yours earlier, so you have time to revise and clean it up. When to have your final fitting is your call. Some brides schedule it on the week of their wedding; others do it earlier. But the safest lead time is a month or two before the wedding, so you and the designer have elbow room should there be any problem with the gown. Your parents and the members of your entourage should have their final fittings by this time. Meet your wedding coordinator to discuss what you want for your reception program, how it will flow, who will give speeches and messages, if you’ll have games and other elements of the program. Avoid doing it at the last minute—give a lot of thought to your presents for these special people. Soon-to-be-wed couples are required to go to a pre-cana or marriage preparation seminar at the church where they’ll get married. It helps them learn more about each other, have a better perspective about married life, and resolve any issues before getting hitched. The seminar usually lasts for a whole day or two. Provide your church with the copy of your marriage license and a list of the full names and addresses of your ninongs and ninangs. When you’re done with the canonical interview and pre-cana seminar, provide your church with the name of the officiating priest and the address of his parochial church, especially if the priest is from a parish different from the church where you’ll get wed. Afterward, your church will prepare a letter requesting for the marriage banns, which will be posted on your respective parishes for three weeks. Call all your suppliers to confirm the date, time, and location of your wedding, as well as other important information they should know beforehand. If you have a full-service wedding planner, she/he should do this task on your behalf. Keep track of guests who have and have not responded to your invitation. Follow up with those who have not confirmed their attendance yet. Go over your initial wedding playlist and make sure your other half approves of it before you send it to your DJ or band. Your bridal entourage should be done with their fittings and final alterations at this point and have started to pick up their dresses from the shop. Contact the hotel, travel agency, or tour provider to confirm your travel details. You should already be doing only finishing touches to your DIY stuff a month before your wedding. Review your final RSVP list and contact any guests who have not confirmed yet. You may decide to remove those who still haven’t RSVP’d from the guest list. Once your final guest list is ready, inform your coordinator, caterer, and reception venue supplier about the expected headcount. Now that you have a definite list of guests you’re expecting to come, you can already finalize your reception table plan. You’d want to nail your look in your big day, so include your hair treatments in your wedding preps schedule. Ideally, your gown should be ready for pickup a few weeks before your wedding, so you’ll have time to try it on and rehearse walking in it at home. To get your desired results from your photography and videography team, give them a list of shots you want to be taken during your wedding. It should also include the people you’d want to be in your group photos. Review your remaining balances with suppliers and prepare cash envelopes for your final payments and tips. While depositing your final payments in the bank (or making an online funds transfer) ahead of time is more convenient, it’s better to pay in cash after each supplier has fulfilled its service on your wedding day. Emergencies—major and minor—can happen any time during your wedding. It could be a stain on the gown, the bride passing out, the groom having an upset tummy, a bridesmaid’s dress getting damaged, and so on. Your coordinator should give you your on-the-day preparation, ceremony, and reception timetable within the week of your wedding day. You must receive it several days ahead, so you can review it, give feedback, have it tweaked, and send out to your suppliers. People who are assigned readings for the mass should receive their scripts within the week of the wedding day. Before you check in to the hotel, make sure to bring the essentials for your big day, including the gown, suit, accessories, DIY decors, and other wedding-related stuff. Whether or not you believe in the classic Pinoy superstition about trying on a bridal gown, it’s important that you do it for one last time (along with your veil and undergarments) to make yourself more comfortable wearing it. Break in your new shoes as well. If you’re leaving within the week after your wedding, make time to pack your bags for your trip. Your officiating priest may require you to go to confession at the church where you’ll get married (though any church is fine) at least a week before. Make sure all your suppliers know what to do and expect during your wedding day to avoid unpleasant surprises. You deserve that pampering on your remaining days as a single person! Get your manicure, pedicure, massage, waxing, and all treatments you need to look fresh and glowing on your special day. Remind your entourage about the time they’re expected to come to the hotel for their hair and makeup and photo shoot. Provide them with directions to the hotel so that they won’t get lost and arrive late. Drop off your table plan, table cards, place cards, DIY items, and other stuff to your coordinator. Together with your parents and immediate family, check in at the hotel you booked for your wedding day preparations. You’ve completed everything you need for the wedding, so give yourself time to wind down before you get married. Don’t skip breakfast no matter how busy, excited, and nervous you are. It will be a long and tiring day, so you need all the energy you can get. Don’t forget to hand over your rings! This is it—the moment you’ve been waiting and working hard for. Relax and leave your worries behind. Smile and enjoy your wedding day!